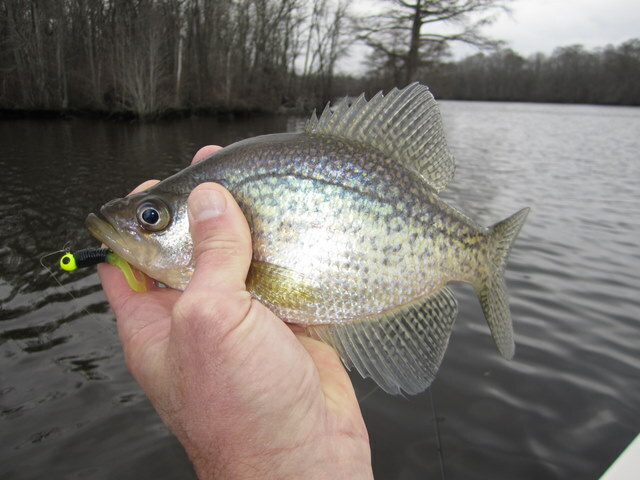 I made a brief scouting trip to the Pocomoke River and found the crappie schooled-up pretty heavy. In nine feet of water, my Lowrance HDS-7 showed the bottom one foot was a thick layer of crappie, mixed with the occasional yellow perch. 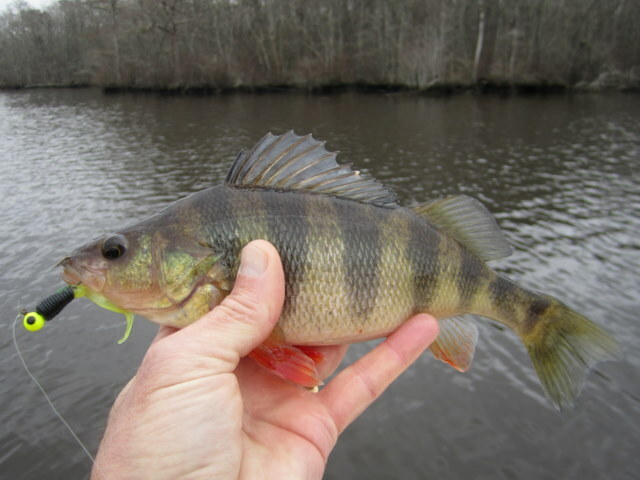 I was using a 1/16 ounce chartreuse jig-head with a plastic curly tail, and I really think if I had attached a small minnow to the jig I would have filled the boat. The fish were subtle on the take and it really took a deft touch to feel the strike. 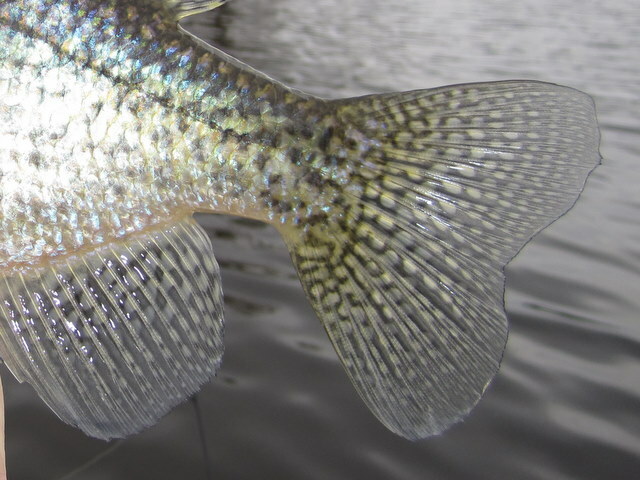 In a couple of hours of casting I boated 25 crappie from 8 to 12 inches, along with three colorful perch of 9 to 11 inches. I had launched my Jones Brothers at Byrd Park in Snow Hill, Maryland. Looks like it’s going to be a great winter for this scrappy and good-eating pan fish.